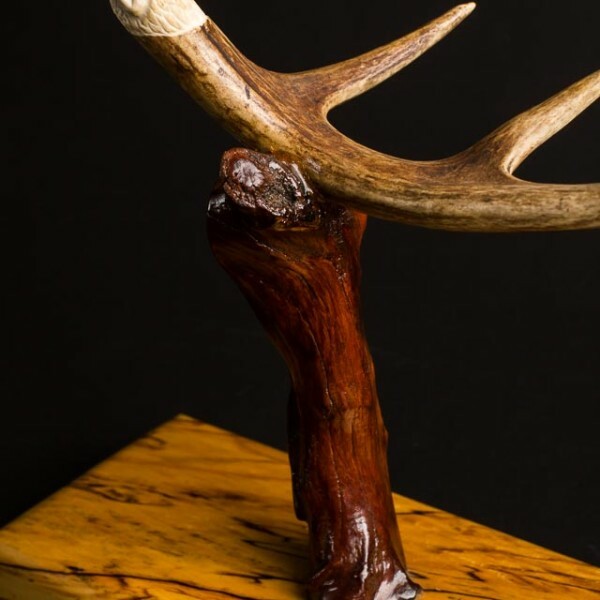 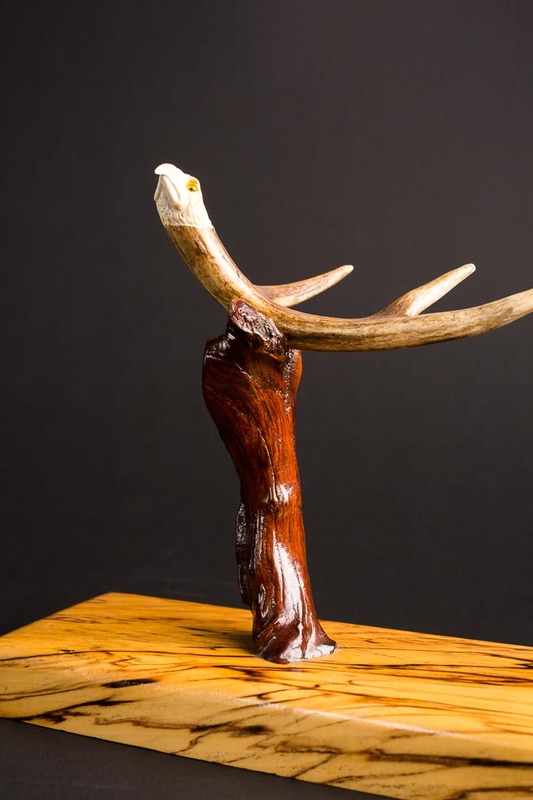 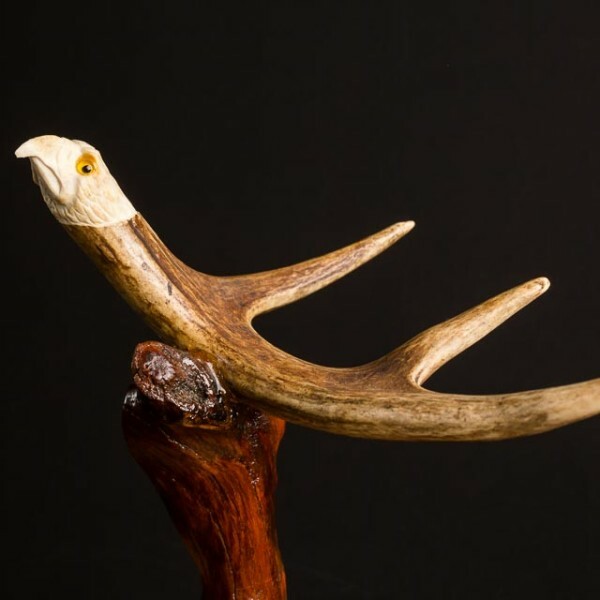 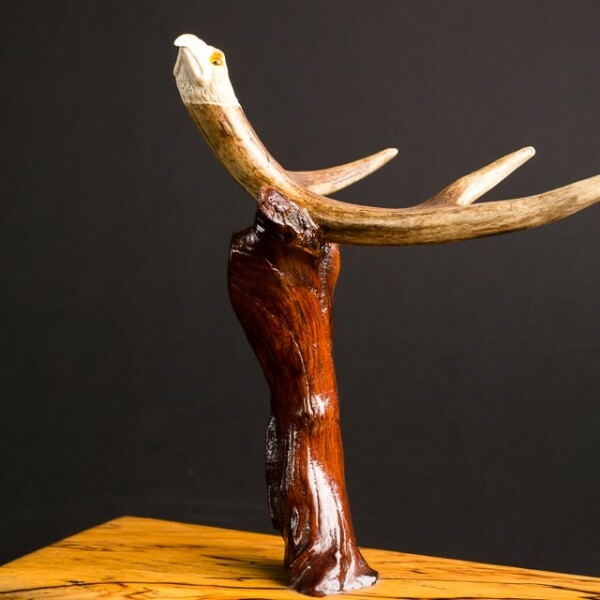 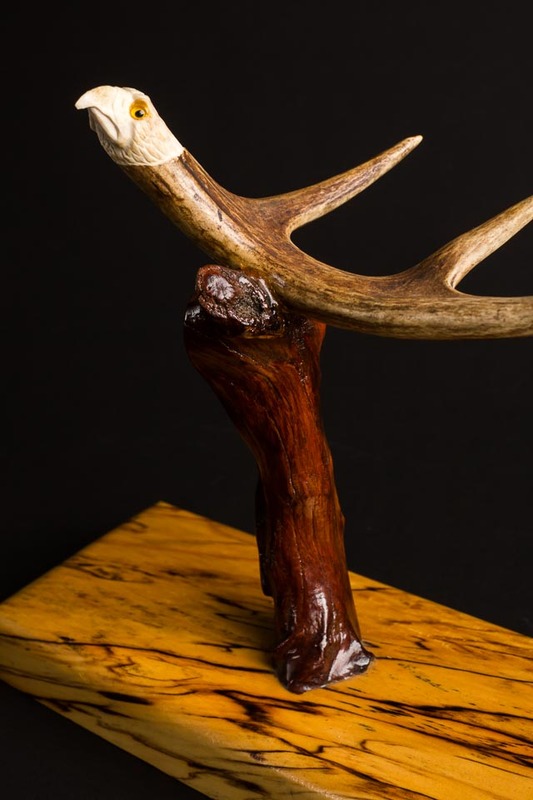 Deer antler with hand-carved eagle, beautiful Buckeye wooden base with Osage Orange stand. 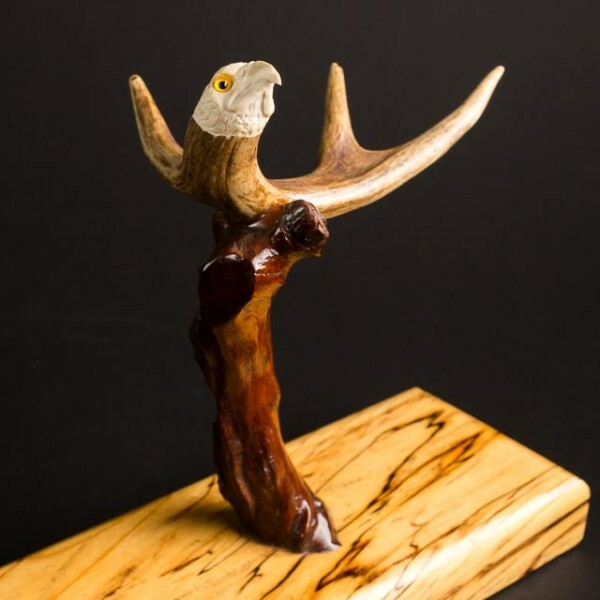 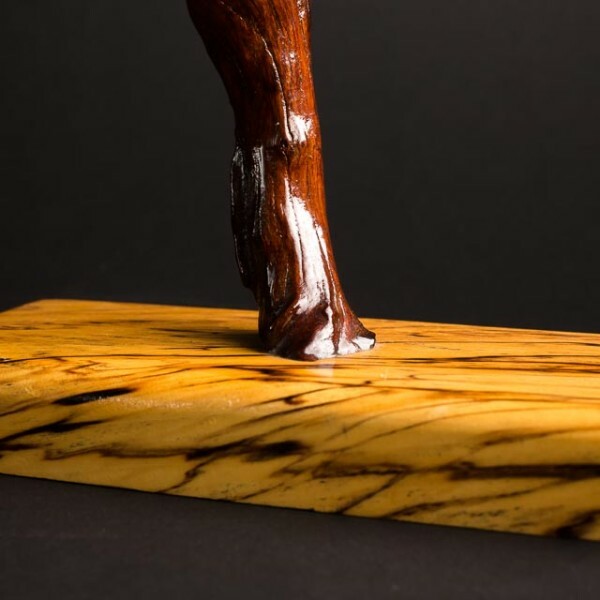 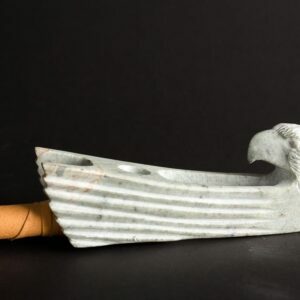 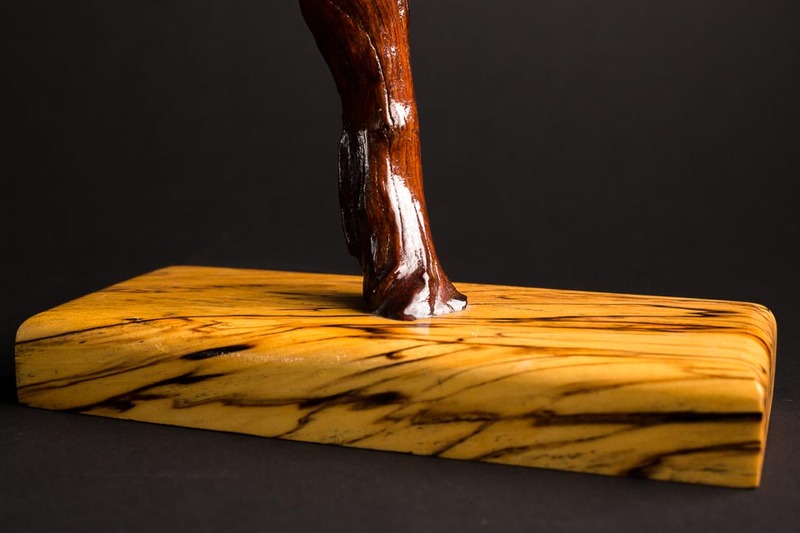 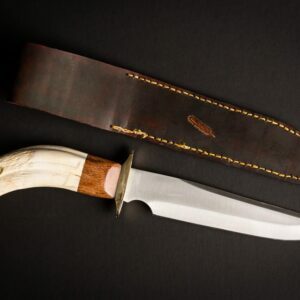 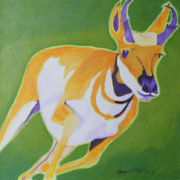 One-of-a-kind carving, can stand alone, or be used as a flute stand. 9 1/2 inches tall. 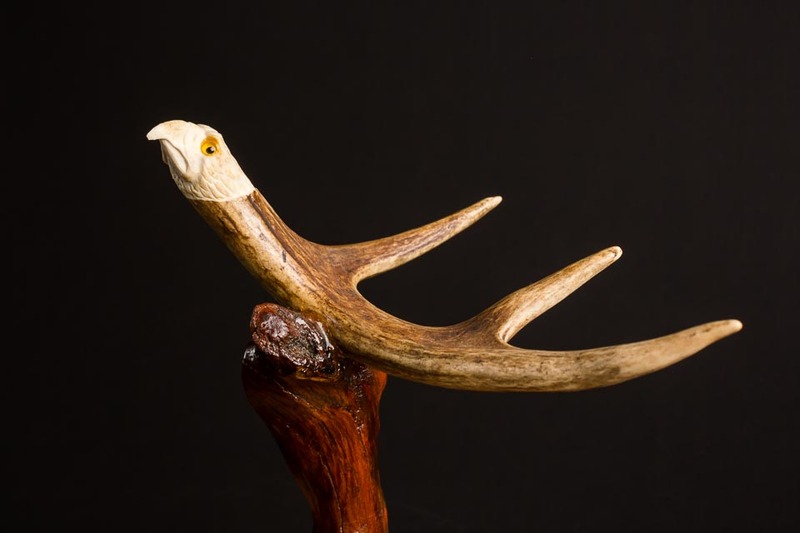 Deer antler with hand-carved eagle, beautiful Buckeye wooden base with Osage Orange stand. 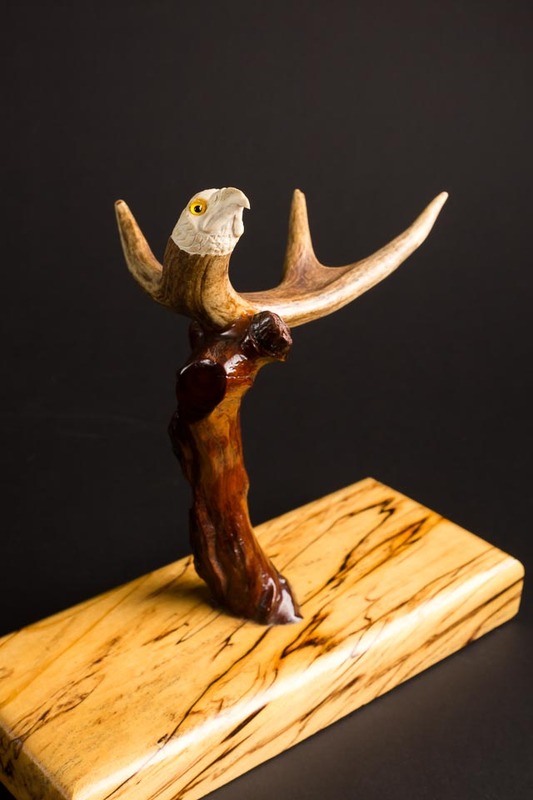 One-of-a-kind carving, can stand alone, or be used as a flute stand. 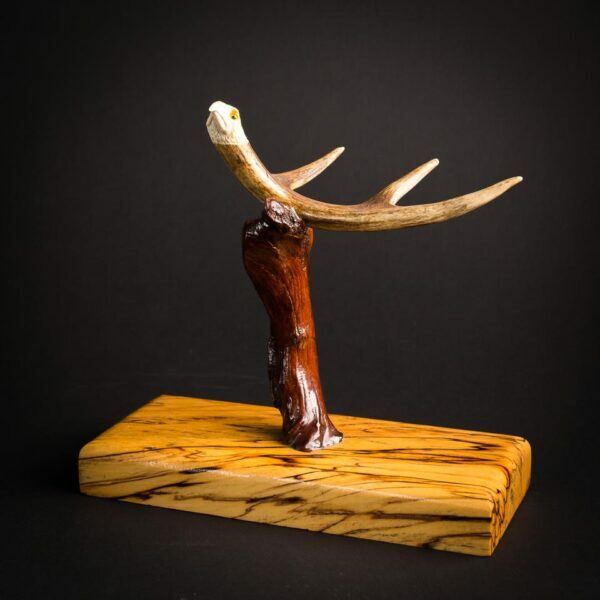 9 1/2 inches tall.